Gabe Brown is a pioneer of the soil-health movement and has been named one of the twenty-five most influential agricultural leaders in the United States. Brown, his wife, Shelly, and son, Paul, own Brown’s Ranch, a holistic, diversified 5,000-acre farm and ranch near Bismarck, North Dakota. The Browns integrate their grazing and no-till cropping systems, which include cash crops and multi-species cover crops along with all-natural, grass-finished beef and lamb, pastured pork, and laying hens. The Brown family has received a Growing Green Award from the Natural Resources Defense Council, an Environmental Stewardship Award from the National Cattlemen’s Beef Association, and the USA Zero-Till Farmer of the Year Award. Gabe Brown didn’t set out to change the world when he first started working alongside his father-in-law on the family farm in North Dakota. But as a series of weather-related crop disasters put Brown and his wife, Shelly, in desperate financial straits, they started making bold changes to their farm. Brown—in an effort to simply survive—began experimenting with new practices he’d learned about from reading and talking with innovative researchers and ranchers. 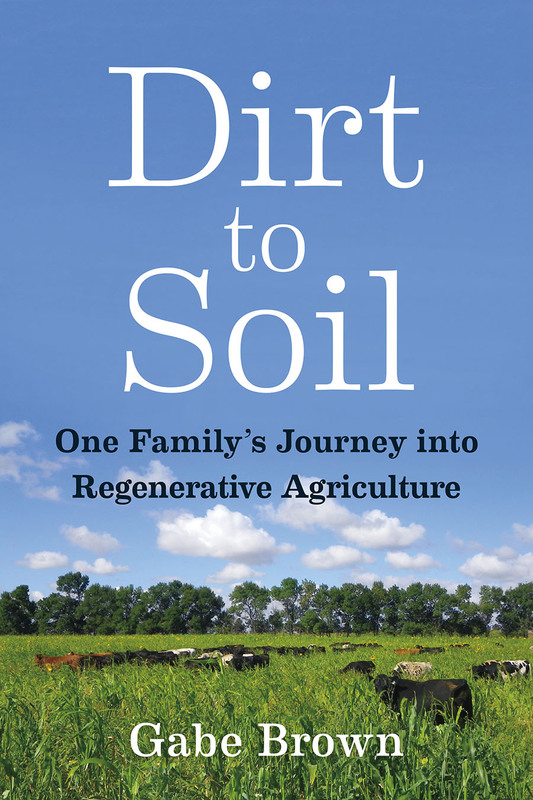 As he and his family struggled to keep the farm viable, they found themselves on an amazing journey into a new type of farming: regenerative agriculture. Brown dropped the use of most of the herbicides, insecticides, and synthetic fertilizers that are a standard part of conventional agriculture. He switched to no-till planting, started planting diverse cover crops mixes, and changed his grazing practices. In so doing Brown transformed a degraded farm ecosystem into one full of life—starting with the soil and working his way up, one plant and one animal at a time. 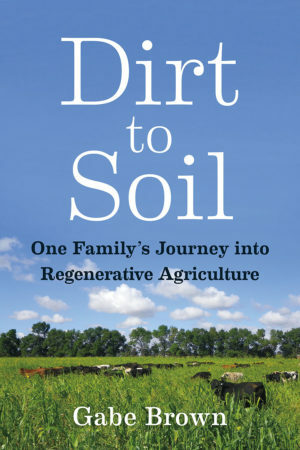 In Dirt to Soil Gabe Brown tells the story of that amazing journey and offers a wealth of innovative solutions to our most pressing and complex contemporary agricultural challenge—restoring the soil. The Brown’s Ranch model, developed over twenty years of experimentation and refinement, focuses on regenerating resources by continuously enhancing the living biology in the soil. Using regenerative agricultural principles, Brown’s Ranch has grown several inches of new topsoil in only twenty years! The 5,000-acre ranch profitably produces a wide variety of cash crops and cover crops as well as grass-finished beef and lamb, pastured laying hens, broilers, and pastured pork, all marketed directly to consumers.